Cardinal Hill Golf Club is challenging for all skill levels offering enjoyment and value and is one of the finest in the Northland. The course meanders around gentle rolling hills and has an array of scenic views of natural prairie grasses, woodlands, streams, and ponds. Cardinal Hill preserves the highest level of playability with 4 sets of tees ranging from 5,375 to almost 6,500 yards. The immaculate bent grass greens and Bermuda fairways are delicately sculpted and interwoven in the landscape. This extraordinary design features breathtaking elevation changes and expansive landing areas that stroll through some of the most picturesque terrain in the Northland. Sign up today at the bottom of our homepage to receive the latest news, event and deals from Cardinal Hill! Meet our new teaching professional, Brad Volker! Brad is an 11-year PGA Member, Flightscope Certified Instructor and uses the V1 video analysis software for immediate feedback during lessons. If you are a high school golfer, or would like to become one, his High School Prep Program is definitely for you. 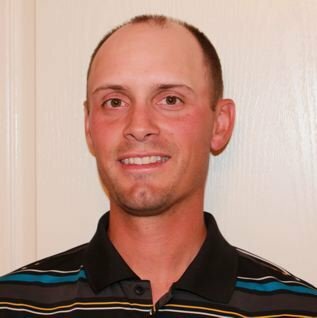 Visit www.FlightGolfKC.com to learn more about Brad’s academy, his teaching philosophy, lesson prices, how to schedule a lesson and more. Dr. William Jewell donated the land to start the college in 1848. His Package is a turn-key way to create an all inclusive & first class golf event at Cardinal Hill. Golfers can fine-tune their game with complimentary range balls, chip & putt on our large practice green, or browse the Golf Shop for their equipment needs. After 18 Holes on the Northlands most scenic course, players will enjoy a delicious meal from the Grill as our professional staff scores the event & awards prizes to the winners! This expertly crafted package is guaranteed to make your participants visit to Cardinal Hill gratifying & unforgettable! The Doniphan Tournament Package is appropriately named after Alexander Doniphan who campaigned to Dr. Jewell to choose Clay County as the site of the College, This option has almost all the benefits of the Jewell Package, at a little lower price point. Our professional staff will score the event & awards prizes to the winners! This package is a perfect option for your next fundraiser! The James Outing is designed to provide a more intimate environment for you and your group. In addition to Jewell and Doniphan, Robert James was one of the founding members of the Board of Trustees. This option can guarantee advanced tee time availability & range balls for all participants. You can be sure your experience at Cardinal Hill will be fun, memorable, & hassle-free. A guaranteed number of participants are required Seven (7) days before the event. A minimum of 36 players is required for a modified shotgun start. A full shotgun start requires a minimum of 100 players. A deposit of $300 is required for a modified shotgun or tee time start. A deposit of $500 is required for a full shotgun start. Events must agree to follow the directives of the Cardinal Hill staff during the course of the event. Cardinal Hill does not allow any outside alcohol to be brought onto the premises. Any tournament participants who bring alcohol onto the premises will be removed from the course. The dress code is as follows: Men: No cut-off shirts or beachwear. Ripped or torn jeans are not considered acceptable attire. Ladies must wear appropriate golf attire. In the event of questionable attire the Cardinal Hill staff will make a final determination. No metal spikes are allowed on the golf course. Inclement Weather – Total cancellation for weather reasons will occur only if Cardinal Hill staff deems the course to be unplayable. In the instance of cancellation, the parties understand and agree that the food and beverage arrangements will not be canceled, or that any items ordered through Cardinal Hill as tee gifts or prizes will apply regardless of any cancellation of the event. All food and beverages must be purchased from Cardinal Hill Golf Club. We also recognize the number of charitable outings in the area and how groups rely on donated food and beverage. In order to accommodate these events, a catering fee of $5 per person will be charged. Tournament date changes or cancellations must be received no later than (15) days prior to the scheduled event date. A cancellation or date change with less than (15) days notice will result in the automatic forfeit of the deposit. Payment in full is expected on the day of your event. If special billing arrangements have been made prior to the event, final payment is due in full within 10 days of the event. 4 Person – 18 Hole Scramble, 8AM Shotgun. Two beverages tickets, range balls & All American Buffet dinner provided! All are welcome! Veterans and active duty only pay $35/player! 4 Person Scramble, 9AM Shotgun. $55/person or $35/member or patron. Includes lunch, beverage tickets, prizes and more! 4 Person Scramble, 10AM Shotgun, over $1000 in prizes and payouts. Chili soup and sandwich buffet following play. 4 Person Scramble, 10AM Shotgun– Winner of each flight gets a TURKEY!